As I am currently developing a new product, I can see it in my mind’s eye in all its simplicity. It breathes quiet and ease; it will make us feel good. But as I develop the bits & pieces, it appears that the complexity behind the scenes is ever increasing. It is almost getting out of hand. And in spite of the underlying complexity, when it all works out, it will be so simple that I could rebuild it in days rather than months. Why is simplicity so hard? Let me give you a more tangible example. Man has dreamt of taking to the skies for as long as man has dreamt. The Wright brothers ended millennia of failure when they took off with their motorised and winged “bicycle”. Since then aeronautical engineers have developed extremely complex mathematics and engineering to design sleek contraptions that will fly. 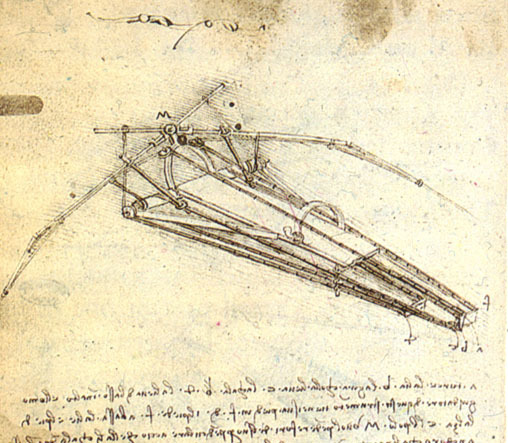 One of the most stunning and simple machines they devised is the paraglider. A few bits of light cloth, lines and a harness stitched together by a seamstress – and we can fly. Although we use lightweight high tech materials for this, I would guess that although less efficient, we could have produced such flying devices centuries before the Wright brothers left terra firma If only we had known how to stitch the bits together. We take simplicity for granted. We assume that simple things are just that: simple. We get exasperated when we are asked to fill in the same lengthy tax or other forms again and again. How stupid can a system be to be so inefficient, we demand to know? I come across many these inefficiencies professionally and often the culprits suffer the most. They would love to make your life – and theirs – so much easier. If only they could. But often they don’t see the whole picture, or if they do, they don’t have the authority or means to fix it. And if they do have the authority they don’t necessarily know where to start. Simplicity is taking inefficiencies out of clunky systems. Simplification is an interesting concept. You start with something complicated and you approach it from many sides until you find a way to make it less cumbersome. You simplify. But you can only simplify things that are complex to start with. No complexity; no simplicity. Another duality? Simplicity is the child of complexity. Occasionally we come across new products that are brilliant in their simplicity: the BIC pen; internet shopping baskets; luggage on wheels; zippers. These things make life easier and we would complain loudly about their alternatives. Yet none of these would exist if we hadn’t suffered those alternatives to the point where an inventor saw a huge opportunity to address it. Complexity is a necessary stage before simplicity. In fact, simplicity is the last stage of complexity; its pinnacle. The way real simplicity is created, is through a laborious process of taking an idea and developing it until it covers all angles to the point where it is quite unusable. Then we take that mess and tidy it up. We look for shortcuts that allow us to reduce the complexity and we agree on conventions that allow is to skip stages of “unnecessary” description or process. In the end we end up with something as simple as the idea we started with. Then we know we are “home”. Simplicity is ending where we started – but better. So I have an odd recommendation for you. If you are looking for simple solutions, make sure you look for the complex ones first. If you want to simplify, start with complexity and don’t ever try to keep things simple until you’ve understood what their complex siblings would look like. Embrace complexity if you want to keep it simple. PS: There are some brilliant quotes on simplicity but they are too simple to be helpful. This was very timely. I’m at a stage in my professional life where I realize that I have huge amounts of complex knowledge to absorb and understand, and this gives me inspiration to tackle the learning head-on instead of feeling frustrated over the lack of (relative) simplicity. Thanks for a really great post, Henk, and have a great weekend! This post was self therapeutic: I’m also frustrated that something simple is taking me forever and completely absorbing all my energy. But what can we do? We cannot sacrifice the good stuff because it is hard? But wasn’t the old fashioned suitcase even simpler than wheeled luggage? More difficult to handle, yes, but that’s not the same thing. Having said that, give me an old fashioned backpack and life will be a lot simpler still. Thanks for stopping by! “Complexity is a necessary stage before simplicity.” I see that every day, with almost anything I explore and try to understand. It’s fascinating. Like you describe, it gets worse and worse and suddenly, it clears up the way the rains give way to a fresh, new, clear sky. The difficult thing is that you cannot predict when this happens and it feels as if there’s nothing you can do. And when you’ve found simplicity, there’s nothing to explain, which can be even more frustrating. But I have the same experience you have: the messy stage cannot be avoided. And it might even be enjoyed. Hi Pipteinpteron! Yes, that’s the feeling! It’s what makes the effort worthwhile, a very personal mini “peak” experience. These are the projects we remember. The one’s where we never reach that point because we give up or because we’re told to stop, are the ones that get added to the trash heap of life’s rubbish. The stuff we long to abandon. But getting to that unexpected resolution is quite opposite. It’s what makes us. Glad you experience the same thing. Bon WE as they say here. Great post. I experience the same thing in my writing and my visual art. The goal is to make a kernel clear and interesting. Along the way I have to snip off the doo-dads, hooks and eyes that got there because of my education and ego. Sometimes it’s hard to do – a component is really nice, but unfortunately it’s irrelevant. You give birth to this stuff, suffering the labour, and then you have to trash it. Then people look and say “oh, is that all? I can do that too!”. Which reminds me of a world press photo winner who, when asked what shutter speed he had used on the winning photo, answerred: “1/60s plus 30 years experience”. A cup of tea and watching the neighborhood come alive from the back deck puts simple in the day…sometimes the “easy” in creating comes from a such surprising quiet. Thanks Stephanie – I quite agree. When things get to complex, I tend to seek out that back deck and look at my pond. It’s amazing what you see at the bottom of the once the waves and mud have settled.